The number of the networks dealing with the issues in active aging is growing. The website Active Aging Networks assists in providing the links. Knowing about the networks and having an opportunity of contacting the “contact person” will contribute to our knowledge. Active aging is a concept which evokes the idea of longer activity, with a higher retirement age and working practices adapted to the age of the employee. It also extends to the social engagement of the elderly in the collectivity. AAN – Active Aging Networks is a component of the eRegion Portal supporting the communication (interlinking) among various networks bringing together the organizations and individuals sharing interest in eInclusion in Active Aging. It is encouraging partner engagement, promote news and events, meet and exchange ideas with peers, and look for potential partners on joint innovative projects in an eRegion. Active ageing means helping people stay in charge of their own lives for as long as possible as they age and, where possible, to contribute to the economy and society (European Commission, Employment, Social Affairs & Inclusion). Contact person: Dr. Jože Gričar, Professor Emeritus, University of Maribor, Program Coordinator, Inter-Municipality Initiative: Cross-border eCollaboration in the eRegions & Procurator, Heath Center Lorena, Ljubljana & Student, Italian Language Class, Third Age University Ljubljana & Member of Assembly & Member of the Board, Central-European Service for Cross-Border Initiatives (CESCI), Budapest, Hungary, Gricar@FOV.Uni-Mb.si, Member, European Association of Professors Emeriti. National Council on Aging – NCOA, Arlington, VA.
ACAP is a group of like-minded gerontologists, primarily in the Asia Pacific region, dedicated to enhancing the physical, social, civic, economic, and environmental fitness of older adults so they can continue contributing to family, community, and society. We believe that Active Aging requires an Individual-Family-Social Policy Partnership. Individuals and families must prepare for old age and adopt positive practices for long life. Social policy must make healthy choices easy choices and build age-friendly environments. Societal norms must encourage and reward participation of elders in work, education, volunteering, and family life. Our mission is to contribute to the global exchange of best practices for Active Aging though conferences and newsletters. The Institute of Mental Health of Semmelweis University and the University of Debrecen, Faculty of Health have a long history of scientific collaboration in the field of ageing. In 2015 we decided to enter into an agreement and set up a website to be called “Active Ageing Network”. Our team has expertise in different areas of active ageing, it has participated in several national and international researches, conferences and workshops, and has published books and articles. 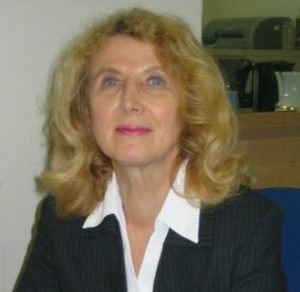 We wish to have contacts with other networks and to cooperate with colleagues all over the world on different areas of active ageing including long-term care, family carers, ageing and ICT, elder-friendly environment, migrant care workers, intergenerational relations, volunteers, social policy and ageing, mapping of good examples and elaborating model programs. One of the aims of our website is to map researches and projects on active ageing in Central and Eastern Europe available only in national languages. We consider this as a pioneering task aiming to fill a gap and make the “invisible” Central and Eastern European scientific world visible for the English-speaking research world. Dublin City University has taken a leadership role in preparing society to meet the challenges and opportunities of a global ageing demographic by establishing the concept and principles of an Age-Friendly University and is leading a global network which has been joined by universities in Europe, USA, Canada and South Korea working together to promote an inclusive approach to healthy and active ageing, through our research agendas and focus on innovation to address specific issues affecting older adults, our curriculum development and the enhancement of learning opportunities for people across the generations, our ambition is to be internationally recognised as leaders of age-friendly initiatives in education, research and innovation to promote a greater, more connected and productive quality of life for older adults. Our Ten-Principles of an Age-Friendly University provide a framework for higher education providers to contribute to the dialogue on opportunities to meet this global challenge. There are a wide range of opportunities in DCU for older adults to engage and these are expanding on an ongoing basis. In March 2018, DCU will host the second conference Engaging Ageing 2018: “New Frontiers of Ageing: Research, Policy and Practice”. We would welcome papers on Research & Innovation, Work & Enterprise and Technology & Ageing. AGE-WELL NCE is Canada’s Technology and Aging Network. The pan-Canadian network brings together researchers, non-profits, industry, government, care providers, older adults and caregivers to develop solutions to support healthy aging. AGE-WELL includes more than 150 funded and affiliated researchers from 37 universities and research centres across Canada. Over 220 industry, government and non-profit partners have joined the network. We work closely with older adults and caregivers to help current and future generations of Canadians enjoy the best quality of life possible. We do this by developing technologies and services that increase their safety and security, support their independent living, and enhance their social participation. AGE-WELL was launched in 2015 through the federally funded Networks of Centres of Excellence program. 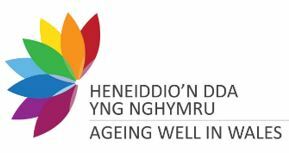 Ageing Well in Wales is a national partnership programme hosted and chaired by the Older People’s Commissioner for Wales. We want to make Wales the best place in the world to grow older. Ageing Well in Wales brings together individuals and communities with public, private and voluntary sectors. We work together to make Wales a nation of age-friendly communities, where the voices of older people are heard, and where people are supported to continue to do the things that matter to them as they get older. Aging2.0 is a global community of innovators taking on the biggest challenges in aging. Our community has 15,000-person subscribers across 50 volunteer-run chapters in 20 countries, and our corporate innovation program has 150+ companies addressing the Grand Challenges in aging. Partner organizations include Google, Procter and Gamble, AARP, Brookdale, Genesis, Medline, Direct Supply, SOMPO (Japan), Lyft and Meals on Wheels among others. Older people and their development. Advancing health and well-being into old age. Ensuring and building age-friendly communities and environments. The priority of ASAG activism are older women. According to the World Health Organization reports, older women live longer than men do, and they suffer from chronic diseases and physical disabilities. Gender and age perspective is a mainstream consideration in order to decrease the barriers of primary health system, supporting palliative care and creating cost-effective ways to help older women towards an ACTIVE AGEING in their families, community and society. The Center of Lifelong Learning in Prague represents a new model of an intergenerational, non-vocational education for all ages. It is bringing together programs that have successfully existed for more than 25-30 years as independent educational projects and offering new ways of activation as well. It is a source of mental, physical and social activity for thousands of its students in order to increase the quality of their lives. The Center has a strong social message, offering top quality lectures for affordable price in order to make education accessible for disadvantaged groups such as mothers on maternity leave, disabled, retired and unemployed people. They make 99.99 % of all students. They pay no tuition only a low registration fee. The Center of Healthy Ageing is one of the educational programs, maintaining and increasing the competence of the elderly in order to prevent their dependency and serves as a source of enlightens for younger students. 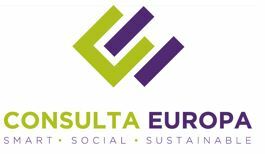 Consulta Europa is a private research performing organization specialized in participatory approaches and co-creation in innovation processes and policy making. The mission of the organization is to promote smart, social and sustainable development in Canary Islands, where the company is located, and in other remote territories. To do this, the company has developed a methodology based on inclusiveness and participation of all relevant actors which can be easily applied in different sectors and domains, such as environment, health, education, etc. Consulta Europa has been promoting and participating in several EU projects, funded under H2020, Erasmus+ and by other international donors. 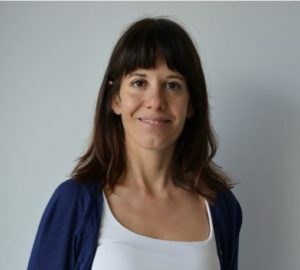 Under the Ic-health, an H2020 project on Digital Health Literacy, Consulta Europa has developed a methodology to co-create with different type of users Massive Open Online Courses on Digital Health Literacy. The project targeted in fact different type of cohorts, including children and adolescents, pregnant and lactacting women, patients with diabetes type 1 and type 2 and elderly people. Consulta Europa is currently further researching on the topics of digital health literacy. Since its creation, E-Seniors has provided courses in ICT usage for seniors in various public locations and the network is constantly opening new locations all over the region in order to provide a “proximity” service that takes into account the rhythm, interests and needs of its potential audience. Through its work for elderly people and with them the organization also tries to increase awareness about the importance of ICT solutions in everyday life. E-Seniors also proposes interactive gaming activities in residences for elders, retirement homes and day-care centres. E-Seniors is aware of the challenges that healthy or dependant elders face and then invests resources in the development of new applications and services to enable independent living and help maintain physical and mental health. 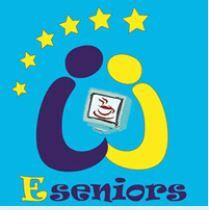 E-Seniors has experience in projects related to ICT-tools designed for seniors and for active and healthy ageing. The association has been and is involved in AAL ICT-PSP Erasmus+ Cosme and H2020 projects. In addition, E-Seniors is associate partner of the EIT Health KIC (Innolife), a European consortium operating in the framework of the European Institute of Innovation & Technology – EIT that has the mission to promote entrepreneurship and develop innovations in healthy living and active ageing. EURAG especially promotes the co-ordination, collaboration and exchange of opinions by its members with expert and service organisations, self-help groups as well as with individuals possessing special expertise. The European Observatory on Health Systems and Policies is a partnership, hosted by WHO/Europe, which includes other international organizations; national governments; decentralized authorities; and academia. 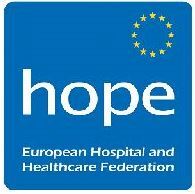 It supports and promotes evidence-based health policy-making through comprehensive and rigorous analysis of the dynamics of health care systems in Europe; it engages directly with policy-makers and experts, and works in partnership with research centres, governments and international organizations to analyse health systems and policy trends. The Observatory’s study series on the Economics of Healthy and Active Ageing seeks to inspire a ‘re-think’ of the economic consequences of population ageing. Our work suggests that a growing older population is not necessarily very costly to care for, and that older people provide significant economic and societal benefits – particularly if they are healthy and active. In the series we investigate key policy questions associated with population ageing, bringing together findings from research and country experiences. We review what is known about the health and long-term care costs of older people, and consider many of the economic and societal benefits of healthy ageing. 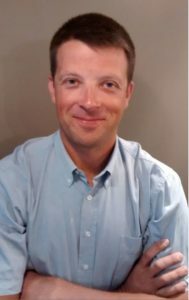 We also explore policy options within the health and long-term care sectors, as well as other areas beyond the care sector, which either minimize avoidable health and long-term care costs, support older people so that they can continue to contribute meaningfully to society, or otherwise contribute to the sustainability of care systems in the context of changing demographics. ECHAlliance is a not-for-profit organisation facilitating international multi-stakeholder connections around ecosystems, driving sustainable change and disruption in the delivery of health and social care. With a direct presence in 25+ countries including spread Europe, USA, Canada and China, the ECHAlliance members develop innovative solutions around mobile health, chronic diseases, active & healthy ageing, Internet of Things, wearables, personalised medicine, genomics, and Big Data. An ECHAlliance Connected Health Ecosystem brings together stakeholders from health and social care, research, patient groups and industry within a specific geographical area, committed to accelerating the adoption of Connected Health solutions at scale on commercial terms. AgeingWell: To face the upcoming challenges related to ageing population, the AgeingWell network, launched in 2012, aims at improving the quality of life of elderly people by promoting the market uptake of ICT solutions. The AgeingWell network is already composed of 16 experienced organizations in ICT for ageing, covering the industry, user organizations, public authorities, investors, housing and insurance companies and ICT solutions providers. ICT services for Life Improvement for Elderly (ICT4Life): ICT4Life objective consists in implementing an innovative platform that connects patients, families, health professionals and care-givers through user friendly tools, using results of a research on emerging technologies. The platform is aimed at facilitating patient empowerment, supporting care-givers and establishing cooperation channels within professionals for integrated care. One of the greatest challenges that today’s Western societies face is their radical demographic change resulting from the expanding human lifespan. The larger group of older people prompts a thorough reflection on the ways in which we experience and organize human life, more specifically, on the cultural meanings of the aging process, the theories and policies on aging. The European Network in Aging Studies (ENAS) facilitates sustainable international and multi-disciplinary collaboration among all researchers interested in the study of cultural aging. Family Studies and Research University Centre (Centro di Ateneo Studi e Ricerche sulla Famiglia) of Catholic University of Sacred Hearth in Milan/Italy, offers the opportunity for various multidisciplinary competencies related to the areas of psychology and sociology to engage in dialogue with those concerned with demography, economy, philosophy, pedagogy and law. The theoretical and methodological framework used by the Centre’s scholars and professionals employs the Relational-symbolic approach, within which perspective the family is the context in which crucial differences in gender, generations and lineage are bounded to each other. The Healthcare Industries Division of Ministry of Economy, Trade and Industry (METI) is leading healthcare industry promotion policies of the Ministry, which include: promoting investment in preventive healthcare to optimize medical and long-term care needs, increasing labor productivity, and incentivizing health-related business not covered by public insurance, while aiming at realizing a society where citizens remain active throughout their lives. 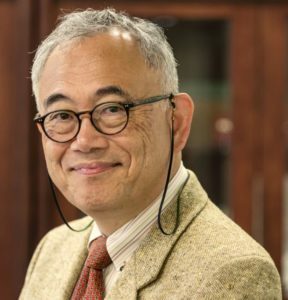 Mr. Kazumi Nishikawa is the Director of the division. Healthy Aging® is a national multi-media lifestyle platform providing active 45-plus adults information and inspiration for their physical, mental, social and financial health. The platform includes Healthy Aging® Magazine, Healthy Aging® website, newsletter, social media, the national observance month, September is Healthy Aging® Month, and custom promotions. The Inter-Municipality Initiative: Cross-border eCollaboration in the eRegions has been under way in Slovenia since February 10, 2011. The names of the organizations involved and the Members are published. The eRegion as a research and development area has been a component of the annual Bled eConference and various events organized in Slovenia and the neighboring countries since 2000. The current activities of the initiative are thematic meetings and workshops. Annual conference The eRegions Conference: Cross-border eSolutions & eServices Prototypes Development was organized in 2011-2016. A major focus of the initiative is to encourage organizations having interest in any aspect of cross-border eCollaboration in the region to engage in joint Information and Communication Technologies (ICT) based prototype development. A prototype is the beginning of an action leading to a possible joint EU project proposal of an eSolution or an eService development solving a problem shared by the organization in at least three countries. The eRegion portal is designed to support the cross-border eCollaboration. It is powered by SRC d.o.o. Ljubljana. Organizations having interest in being linked are invited to propose links to be published at eRegions, Countries, or Actors. We also host an annual Future of Ageing Conference to assemble representatives from Government, business, academia and civil society to discuss how the UK can meet the challenges and the opportunities of a rapidly ageing society. For more information, please click here. The living lab, which is an Academic Collaborative Centre on Care for Older People (ACC-OP), is a formal multidisciplinary network consisting of Maastricht University, seven large long-term care organizations, Gilde Intermediate Vocational Training Institute and Zuyd University of Applied Sciences, all located in the southern part of the Netherlands. The model was developed in 1998 as collaboration between Maastricht University and one long-term care organization. Now we cover seven long-term care organizations, including about 100 care locations and about 15,000 long-term care staff. This living lab model has two vital characteristics. First, it is a multidisciplinary partnership with the core disciplines being nursing science, gerontology, old age medicine, psychology and physiotherapy. Collaborating partners are practitioners (such as registered nurses, physicians, psychologists, physiotherapists and occupational therapists), managers, researchers and teaching staff. Second, we have joint appointments of living lab staff working both at the university and within a long-term care organization. Senior researchers work on a structural basis and at least one day a week within the long-term care organizations. They help to identify relevant issues for practice and policy, translate these into scientific research projects and enable the translation of evidence-based knowledge in daily practice. Furthermore, they initiate and coordinate research and teaching activities within the long-term care organizations. Moreover, long-term care staff (such as registered nurses and nursing assistants, physicians, physiotherapists, psychologists) participate in research projects. 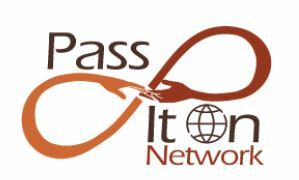 The Pass It On Network connects older adult advocates for positive ageing who share information about low-cost, innovative ways to help themselves, each other, and their communities. Added longevity, new medical procedures, and assistive technologies have empowered positive ageing. There’s no better way to gain personal support for positive ageing than in a support group of people who are sharing their experience over time. And on a broader platform, there’s no better place to live than in communities that deliberately develop infrastructure that empowers the engagement, mobility, and security of older residents. Whether paid or unpaid, meaningful work builds on personal strengths, offers a sense of purpose, and produces benefits for both the doer and the community. We are both teachers and learners all of our life, and there are now Third Age Universities and Lifelong Learning programs growing all over the world to foster peer-to-peer learning as well as traditional adult education. 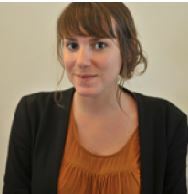 Based in Paris, Moira Allan is the co-founder and international coordinator of the Pass It On Network. 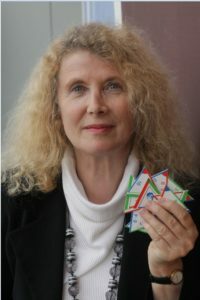 Her co-founder, Jan Hively, PhD, is also the U.S. Liaison. 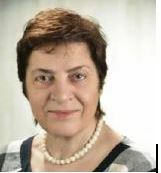 The liaison to the Pass It On Network from the European Federation of Older Persons – EURAG is Dana Steinová, Secretary General. EURAG comprises representatives from associations in 32 countries in Europe and meets twice a year. 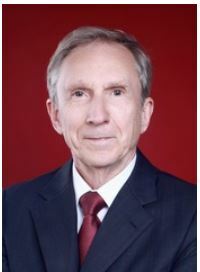 The School of Medicine and Health at the Harbin Institute of Technology, P. R. China bridges disciplines of medicine with those related to health with particular focus on wellness including integration of traditional Chinese medicine. China, like many countries around the world, is facing unprecedented challenges as the population ages and the prevalence of chronic diseases rises. Sustained behavioral change is necessitated to facilitate universal healthcare through special emphasis on wellness and chronic disease prevention and management, especially in elderly contexts. Opportunities for the effective use of technology are prevalent and play an important role. The eHealth Research Institute is an integral component of the School of Medicine and Health. SeniorNet is the nation’s premier and most respected nonprofit organization specializing in computer and internet education for adults over 55 and those in need (veterans, disenfranchised, and those with disabilities). Since 1986, SeniorNet has empowered more than two and half million students by providing encouragement, lifelong learning opportunities and new worlds to explore via the internet. SeniorNet provides an extensive curriculum of over 130 courses. These materials are continuously updated to include the latest applications and various system upgrades. 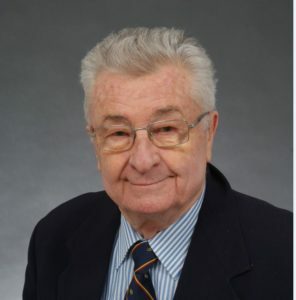 The curriculum is delivered by instructors and mentors at SeniorNet Computer Learning Centers via a proven seniors teaching seniors’ methodology and/or by utilizing an intergenerational approach whereby high school and college students teach the latest technology. No matter what methodology is used – students can take classes at all experience levels and learn new computer skills like Computer Fundamentals, Internet and Email, Digital Photography, Avoiding Scams, How to Secure Your Computer, How to use the latest technology gadgets – like the iPad, Smart Watches, iPhone, Fitbit, selecting and downloading applications and more – all in a friendly, low-pressure environment. Classes are operated by professional volunteers across the nation with a standardized curriculum provided by SeniorNet Headquarters. Some SeniorNet Centers create additional curriculum and class materials for their specific targeted audiences. Over the past 5 years we have had partnerships with major institutions and corporations – with some providing grants, (Microsoft, IBM, Adobe, QUE-Pearson Publishing, AARP, Google, Manpower, Media. Net, University of Maryland School of Nursing, Military Officers Of America, Blue Cross Blue Shield, National Council on Aging and others). Based in Fort Myers, Florida, we have learning centers across the United States, including Indian Reservations with international affiliations in Nepal, Netherlands, South Korea, China, UK, Sweden and New Zealand. The Slovenia eSeniors Network: eInclusion in Active Aging is a component of the Inter-Municipality Initiative: Cross-border eCollaboration in the eRegion. It has been created to gather the individuals 55+ sharing interest in Silver eConomy and Sharing eConomy development. Its focus is at the cross-border eCollaboration in the eRegion by exploiting the eTechnologies (digitalization). The members are engaging in the related meetings, consultations and workshops. The network is open to interlinking with similar active aging networks & associations. The Global Ageing Network is the world’s only network of ageing service providers. Global ageing members include professionals and organizations in ageing services, governments, volunteer organizations, businesses, academics, researchers and architects. The Global Ageing Network unites experts from around the world, lead education initiatives and provide a place for innovative ideas in senior care to be born. The Global Ageing Network has grown from an idea to a vibrant network spanning nearly 50 countries serving millions of people every day. 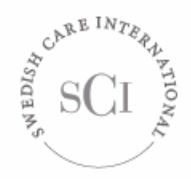 Swedish Care International (SCI) is dedicated to making Sweden’s best-in-class dementia and elderly care available world-wide. SCI works to create and spread knowledge and awareness of good dementia and elderly care around the world through global partnerships and the use of digital technologies. SCI is active through a variety of activities, platforms and international projects within ageing and elderly care. Our education and training, awareness initiatives, and digital tools create opportunities for providing reasonable care conditions for the elderly, people with a dementia diagnosis, and their families around the world. Since 2006, we’ve trained more than 130 000 people worldwide. Education and Training. Masters-level courses as well as eLearning training. This wide scope of learning options allows stakeholders of any size and scope to scale knowledge opportunities quickly and effectively. Professional Services. As global elderly and dementia challenges grow, organizations will seek to future-proof their businesses from rising risk and changing workplace environments. SCI’s blend of expert knowledge, consultancy and advisory services along with local know-how ensures that firms are well placed to serve their clientele in increasingly complex but exciting ways. Projects and Events. SCI initiates and leads several projects with a global focus as part of our overall strategy. Fulfilling our vision of increased awareness and knowledge about dementia, as well as the changing demographics for the elderly, is central to all of our projects. 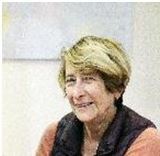 U3A Online delivers a wide range of over 60 short online courses and is open to anyone anywhere in the English speaking world. We have over 1100 members, mostly from Australia and New Zealand and the UK, but with others from as far away as Iceland and India. Membership costs $30 a year and all courses are then free to members. You can do as many or as few as you like; there are no exams, deadlines, assignments or other impediments to enjoyable learning. From courses in World Affairs, Politics and History through to Life Matters, Literature, Writing and Creativity, members are bound to find subjects to interest them. A small selection of our courses includes: The History of Espionage, Myths and Legends, Train Your Brain, Continents on the Move, Shakespeare – Rediscovering the Bard, Writing for Pleasure, Astronomy, Maths – Number Theory, The Night Sky.